A local firm used by the Prime Minister’s chief of staff Keith Schembri for offshore “investments” exposed in the Panama Papers has announced a rebranding exercise. 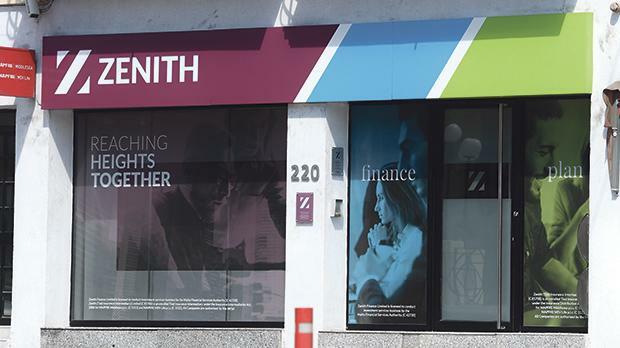 MFSP Financial Management was slapped with a €38,750 fine in June by Malta’s anti-money laundering watchdog, the FIAU, for failing to carry out the necessary money-laundering checks on four client accounts. Matthew Pace, a government appointee on the Planning Authority’s Planning Board, handled Mr Schembri’s “investments” on behalf of MFSP. Mr Pace is a director and shareholder of MFSP, which this month was renamed Zenith, MFSA records show. MFSP’s Facebook page has also been similarly rebranded. The local investment firm has been of interest to at least two magisterial inquiries as a result of the Panama Papers leak. Data from MFSP and Mr Pace was elevated and analysed by foreign experts engaged as part of the Egrant inquiry. Questions send to Mr Pace about the rationale behind the rebranding were unanswered by the time of writing. MFSP was also used for “investments” by another BVI company called Willerby, which is owned by Nexia BT’s managing partner Brian Tonna. Mr Tonna and Mr Schembri are being investigated by a magisterial inquiry for alleged kickbacks and money-laundering on passport sales. Two payments totalling €100,000 were made from Willerby to a Pilatus Bank account owned by Mr Schembri. The two men both deny any wrongdoing. Up until 2015, Mr Schembri accumulated $700,000 in an MFSP investment account, which was held via a once-secret company in the British Virgin Islands he owned called Colson. Mr Schembri has persistently refused to say if his offshore holdings were declared to the local tax authorities. According to an FIAU report leaked last year, which is now the subject of a magisterial inquiry, MFSP was also used by Allied Newspapers’ former managing director Adrian Hillman to receive alleged kickbacks from Mr Schembri. In explaining the rationale behind its fine earlier this year, the FIAU said MFSP held information indicating that clients’ expected source and origin of funds would consist of savings or the sale of investments. The FIAU said the documentation provided by MFSP contained “very basic and generic information”, as well as some discrepancies.